The Rangers and Stars will face off for the final time this season, with the Rangers looking to get some revenge on home ice. Photo courtesy of Getty Images. After dropping a game against a strong Nashville team, the Rangers (30-16-4) will take on the Dallas Stars (23-21-8) at Madison Square Garden, the second matchup between these two teams this season. The Rangers eight game win streak was snapped in Dallas on December 29th, with the Stars coming away with a 3-2 victory. Kevin Hayes and JT Miller scored the Rangers goals, and Henrik Lundqvist stopped 23 of the 26 shots he faced in a loss. Kari Lehtonen made 28 saves, including all 21 shots he faced in the last two periods. 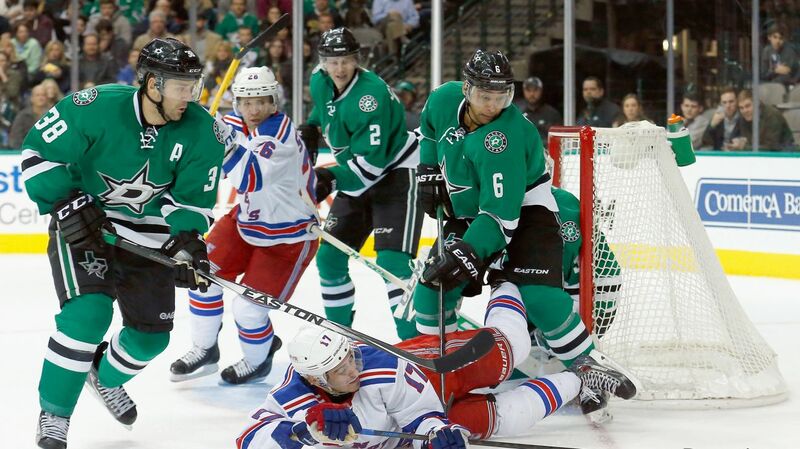 The Dallas Stars are 0-2-1 in their last three games, including 3-2 loss in Buffalo last night. Tyler Seguin is having a fantastic season, with 58 points (29-29-58) in 52 games this season, including a goal last night. Seguin has five points (1-4-5) in the last four games, and the Rangers will need to keep an eye out for him whenever he is on the ice. Yesterday, the Rangers were outscored by the Predators defenseman. The Stars have two defenseman that can score on a consistent basis in Trevor Daley (13-13-26) and the rookie John Klingberg (10-17-27). Despite their record, the Stars can score a ton of goals on any given night. The Rangers are coming off of a road loss in which they actually played very well, giving up two late goals in the second period on some defensive lapses. However, many of the players came away with a positive note, knowing that they played well but just came up on the short end of the stick. Cam Talbot started in net for the Rangers, stopping 20 of the 23 shots he faced in his second consecutive start. There has been no confirmation from Vingeault or the Rangers, but Talbot will likely start again tonight. He is well rested, and backup Mackenzie Skapski has never played in the NHL, so expect Vigneault to use Talbot relatively heavily while Henrik Lundqvist is out. 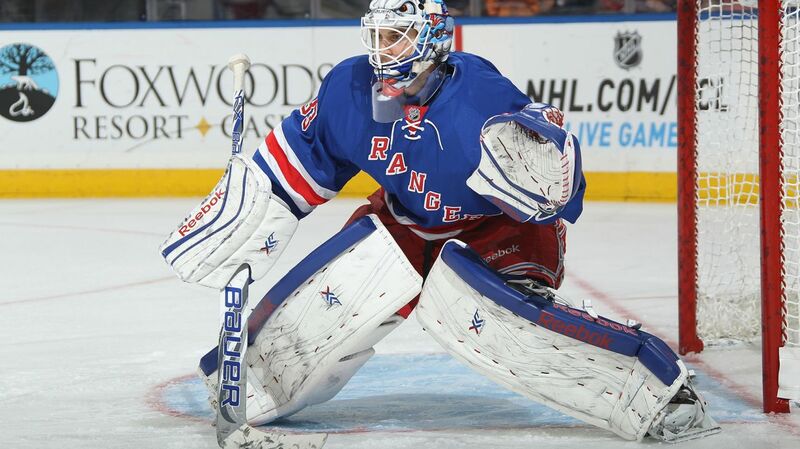 Cam Talbot will likely make his third consecutive start of the season when the Rangers take on the Stars tonight. Photo courtesy of MSG Photos. Rick Nash scored another goal again last night, his league-leading 33rd goal of the season, extending his goal streak to four games. Nash has three separate four game goal streaks, and is the first Ranger to do so since Adam Graves in the 1993-94 season. He has found the back of the net five times in that span, and now has 49 points (33-16-49) this season. With a pair of assists against the Predators, Derick Brassard continues to have the best season of his career. In the last 26 games, Brassard has 22 points (7-15-22), bringing his point total to 39 on the season (13-26-39), which is second on the team. He also has one goal and three assists in the last three games, and his power play assist yesterday gives him 15 power play points this season, leading the team. 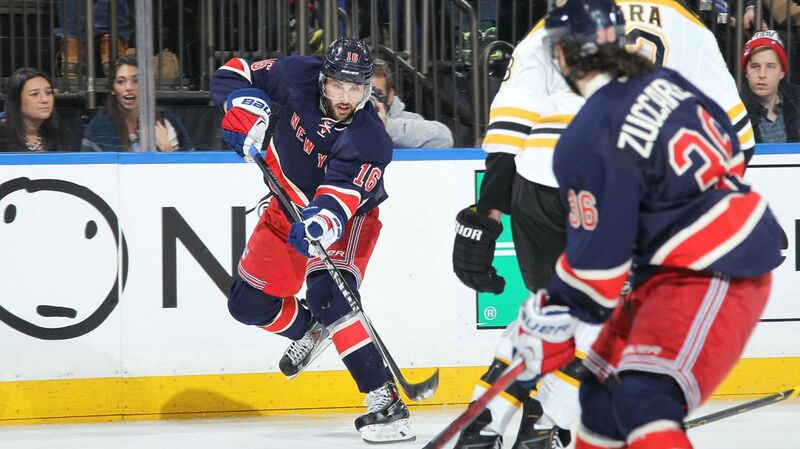 Just eight points shy of his career high, Brassard would like to continue his high level of play. Derick Brassard is having the best season of his career, sitting second on the team with 39 points, just eight points away from his career high. Photo courtesy of MSG Photos. In yesterday’s game, Jesper Fast sustained a right knee sprain, and will not play in tonight’s game. Derek Stepan is expected to play tonight after being scratched yesterday with the flu, and will take his place back on the top line in the center position. This means that JT Miller will go back to the wing position, and Lee Stempniak would also remain in the lineup. The Rangers and the Stars will face off at 5 PM at Madison Square Garden. The game will be broadcasted on MSG Network. Posted on February 8, 2015, in Game Previews and tagged Alain Vigneault, Cam Talbot, Carl Hagelin, Chris Kreider, Dallas Stars, Dan Boyle, Dan Girardi, Derek Stepan, Derick Brassard, Dominic Moore, Filip Forsberg, Henrik Lundqvist, Jesper Fast, John Moore, JT Miller, Kevin Hayes, Kevin Klein, King Henrik, Lee Stempniak, Mackenzie Skapski, Madison Square Garden, Marc Staal, Martin St. Louis, Mats Zuccarello, Matt Hunwick, MSG, MSL, Nashville Predators, New York Rangers, New York Rangers trade rumors, NHL, NHL 2014-2015 Season, NHL All Star Game, NHL Trade deadline, NHL Trade Rumors, NY Rangers, NYR, Pekka Rinne, Rangers, Rangers Nation, Rangers trade rumors, Rangerstown, Rick Nash, Ryan McDonagh, Tanner Glass, The Ranger Zone, trade deadline, Tyler Seguin. Bookmark the permalink. Leave a comment.